Let's check out my third design to control LEDs based on movement using an accelerometer! 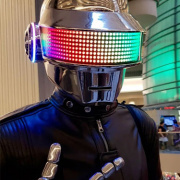 Let's take a look at some of the amazing costumes and props from Dragon Con! 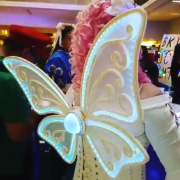 I attended my first Dragon Con; here is some of the wearable tech I saw there. 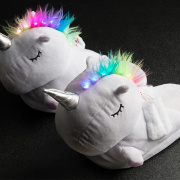 A ridiculously simple project with lights and unicorns. 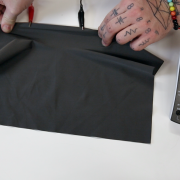 Let's take a look at different power solutions for your garments and props! 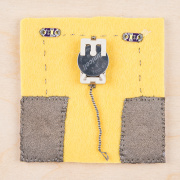 Check out these techniques for making your very own soft electronic components! My experiences exploring wearables for dancers performing a choreographed piece. I am no expert at soldering, coding or developing, but I know how to plug something in and press a power button. You wanted more LilyPad; you got it! 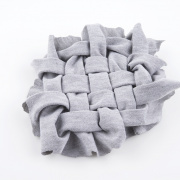 Plenty of fresh, new e-textile kits and amenities for your wearable needs! 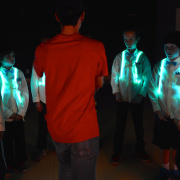 This light-sensitive project is designed to keep pedestrians safe, without compromising style! 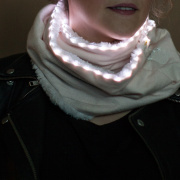 Sew LED strips into a fur vest for Halloween, Burning Man or any event that calls for furry lights. 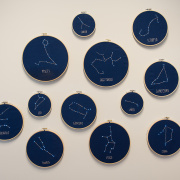 Check out these super cute DIY constellation embroidery hoops! Three new EeonTex e-textile fabrics, as well as an original Serial Basic Breakout. It's Friday! If your resolutions include doing more crafts (and the winter weather is perfect for it), we've got a brand-new LilyPad product in a sparkling new kit just for you. 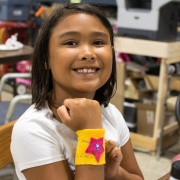 Build three simple electronics components using soft materials. 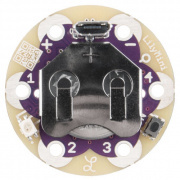 Two new LilyPad products are now available! 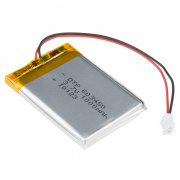 To go along with them, we have a new Mini GPS Shield, Flip-Pins and two new Edison kits. 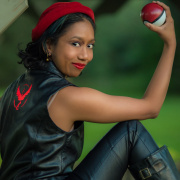 Here are some ideas and downloadable designs to get you inspired this Halloween season. Oh, also check out the LiPo USB car starters. They will put out some current! 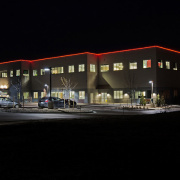 The SparkFun Guide to Processing is here!